Castillo was having an impressive spring, batting .368/.385/.526, but as Christopher Smith of MassLive.com noted, there is not currently a need on the big league club for an outfielder. 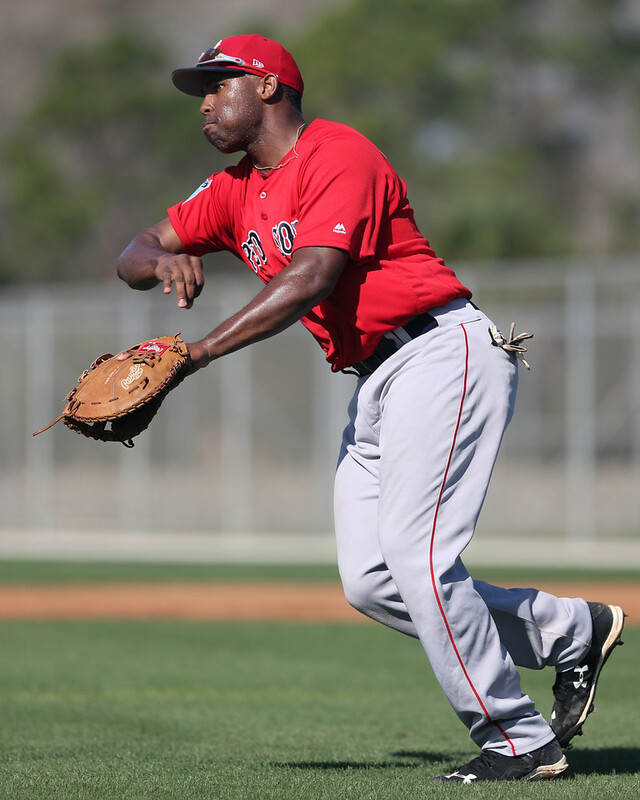 John Farrell said as much in an interview on Sunday, while also discussing Castillo's need to refine his abilities to become a more complete player. Of the 40 players still in major league camp, six of them are not on the 40-man roster. This includes Jamie Callahan, Kyle Kendrick, Austin Maddox, Edgar Olmos, Chandler Shepherd, and Ben Taylor. Kendrick had another strong start last week and he now holds a 3-0 record this spring with a 2.17 ERA and 26 strikeouts in 29 innings. Michael Silverman of the Boston Herald talked with Kendrick about an elaborate prank that was played on him nine years ago when he was with the Phillies, and the role Red Sox first-base coach Rubén Amaro Jr. played in it. Callahan is another pitcher having an impressive spring, allowing only one run and striking out nine over nine innings. Callahan has been sitting at 95-96 mph with his fastball and complementing that with an 89 mph slider. Control has always been an issue for Callahan but so far this spring he has walked only one batter. Evan Drellich of CSNNE.com offered up a good look at the mindset of Travis and how he pairs a simple approach mechanically with a more advanced approach mentally. The following minor league players (not on the 40-man or a non-roster invitee to major league camp) saw action in major league games this past Thursday through Sunday: Tzu-Wei Lin, Mike Miller, Tate Matheny, Cole Sturgeon, Danny Mars, Josh Ockimey, Chad De La Guerra, Derek Miller, Jose Rosario, Shawn Haviland, Heiker Meneses, Jantzen Witte, Danny Bethea, Joseph Monge, and Tyler Hill.